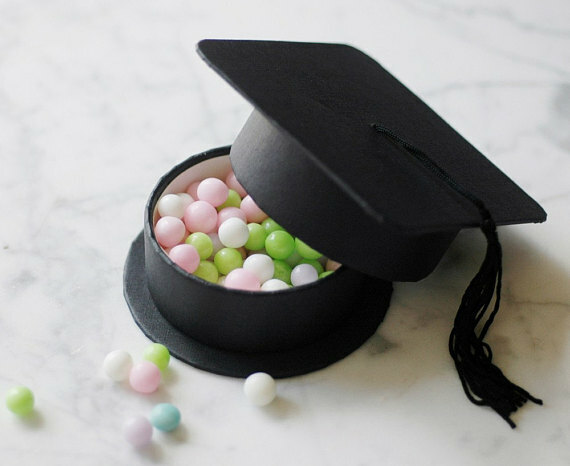 So, if you're planning to host a graduation party, check out these 12 awesome graduation party supplies to help you celebrate your graduate in style. 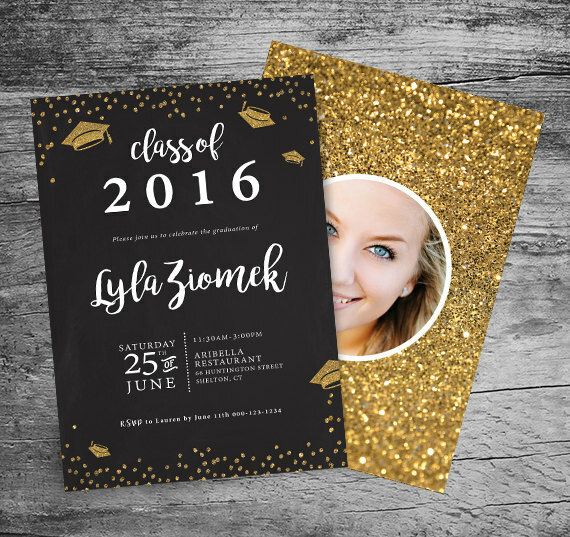 Set the tone for your graduation party with a fantastic sparkly graduation party invitation like this one! You can personalize it with a photo to give it that extra special touch. 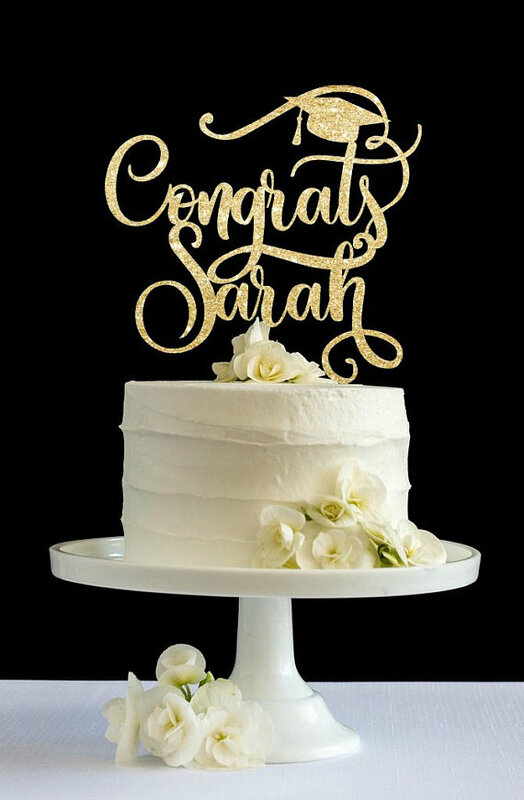 If you're looking for a simply way to transform a cake into one fit for a graduation party, then this gold sparkly personalized cake topper is just what you need! It's such an easy fix. 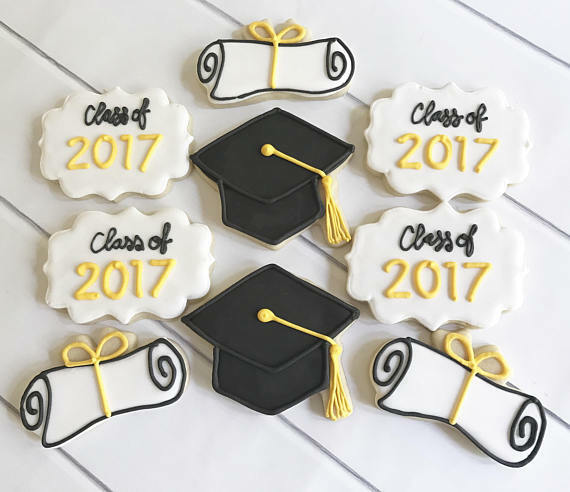 Fill a plate with these fun graduation party sugar cookies. The diploma and cap ones are so cool! 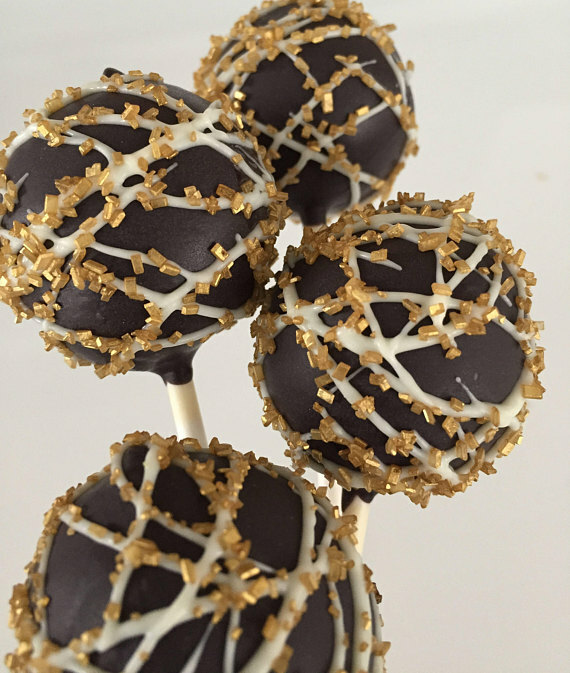 These milk chocolate cake pops, decorated with white chocolate and gold sprinkles, will look fabulous at your graduation party! You can never go wrong with this sparkly gold graduation dessert. 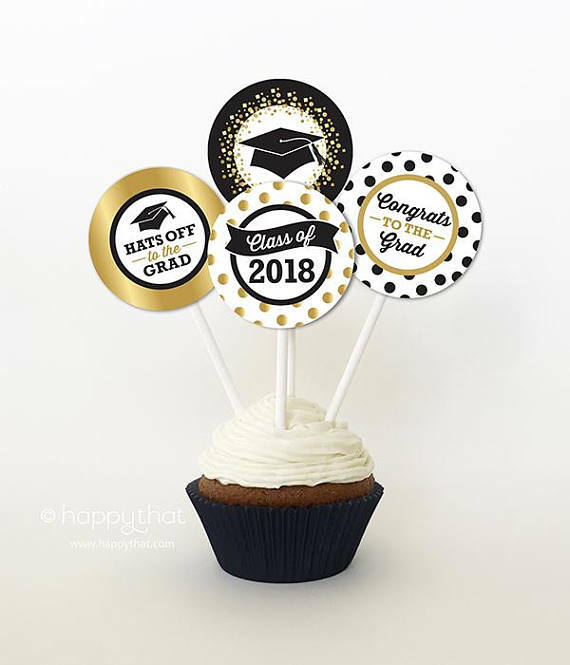 Another great graduation party dessert -- top a bunch of cupcakes with these awesome toppers to bring class and sophistication to your graduation party! 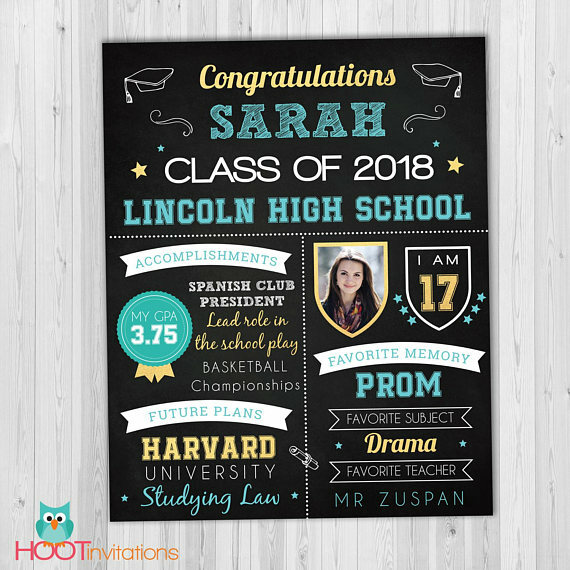 This graduation sign is an incredible way to show off your child's achievements and could work as a great graduation party backdrop. Not only is it an awesome party decoration, but makes a wonderful keepsake for this important milestone. Here's another graduation backdrop idea. 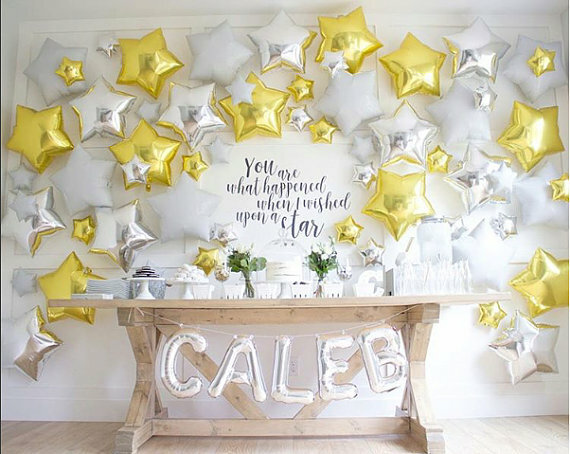 What better way to decorate a graduation party then with a backdrop full of gold and silver star balloons! You child is a star after all! 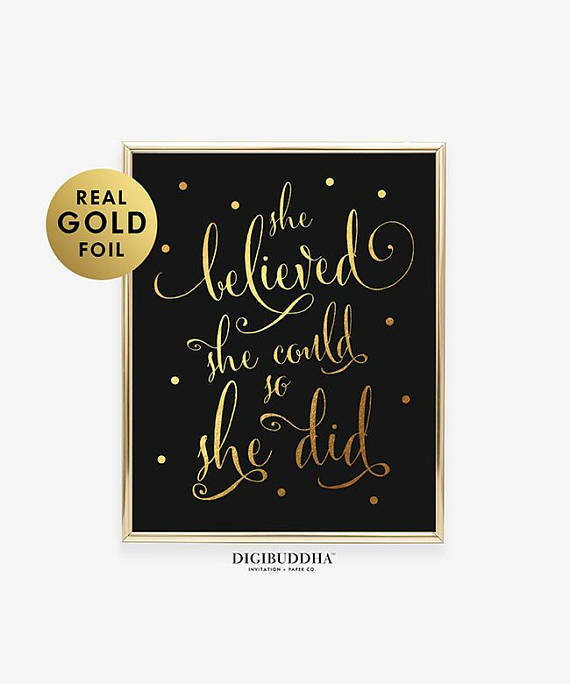 Decorate a wall or your dessert table with this inspiring 'She believed she could so she did' black and gold poster. It represents all the hard work and success that your child has achieved in school and that is being celebrated! You won't find a cooler graduation banner than this one. Each individual flag is decorated with a photo of your child in each academic year of their life. It's an amazing way to look back at your child's journey and realize just how fast time flies. It makes an excellent keepsake too! 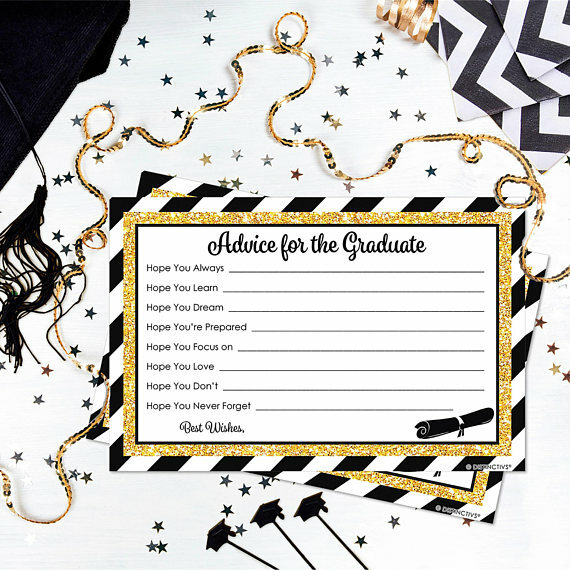 I can't think of a better way to make a personalized keepsake that will be treasured forever then to have your guests fill in these marvelous "Advice for Graduate" cards, where your party guests can share some words of wisdom. All you need are theses cards, some pens, and a little box, and you're good to go! 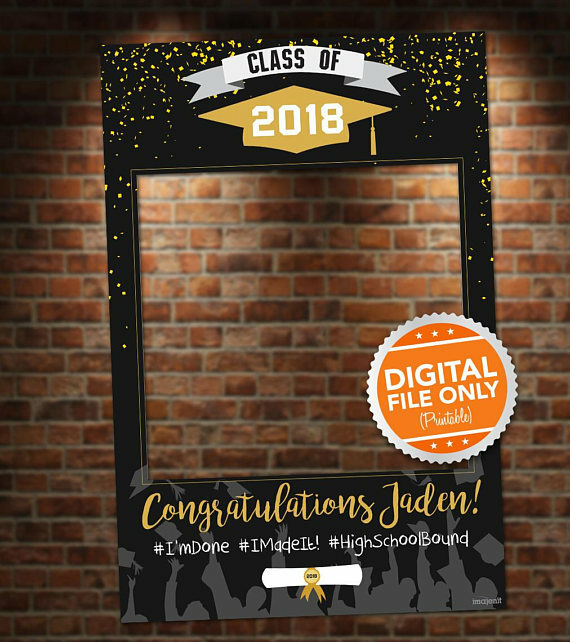 Your guests are going to have so much fun fooling around with this graduation photo booth frame while you snap away and take photos. You'll be making incredible memories. What better way to send guests home with a smile on their faces, then with one of these awesome graduation cap party favor box full of goodies. They also make a cool decoration at your party. Need more graduation party ideas and free printables? Need more graduation dessert ideas? 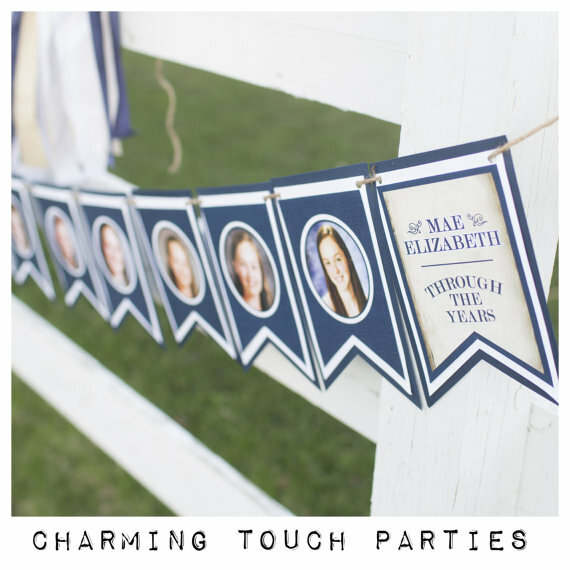 For even more inspiration, check out all these fantastic graduation party photos added to our site, and these additional graduation party supplies from vendors with listings on Catch My Party!